This is the final blog in a series of four that discuss the challenges of aging buildings, including the demands of today’s tenants, the costly consequences of older facilities, modernization strategies, and the resulting benefits. Now that I’ve explored what tenants what, the costs of maintaining older buildings, and strategies for modernizing them in my previous blogs, I want to share some of the benefits that modernization brings. Here are a few examples of both new and updated buildings and what is possible when facilities deliver what tenants demand today. Let’s start with the Edge, which has been called the world’s most sustainable building. 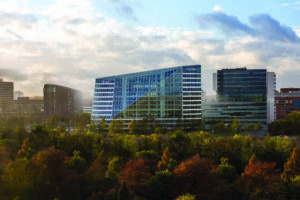 The Edge is in Zuidas, Europe’s fastest growing business and knowledge district in Amsterdam, The Netherlands. This complex has been called the world’s most sustainable office building because it received BREEAM-NL outstanding rating, with a 98.36% rating – the highest ever given. It also has been called “perhaps the most fully realized vision of the IoT the world has ever seen. The Edge not only sets a new global benchmark for the built environment, but also prioritizes the comfort, health, and productivity of its occupants. Real-time energy consumption and efficiency data gathered from its BMS are shared with building occupants and visitors via a dashboard located on a video screen located in the building’s lobby. The building uses less than 0.3 kWh/m2 per year energy consumption and actually produces approximately 102% of its own energy. Now let’s look at The Davis School District in Utah, which is a leader in energy efficiency among K-12 schools. The district recently completed the transition to energy efficient solution in over 90 facilities encompassing over 10 million square feet, including 59 elementary schools, 16 junior high schools, eight high schools, and three alternative high schools. The school now has one integrated system with updated, cutting edge technology to ensure their facilities are operating at peak energy efficiency. The district reduced energy consumption by 7% and improved learning environments while campus square footage grew 18%. The district received the 2013 Excellence in Energy Award in the category of Responsible Energy Development from the state of Utah. 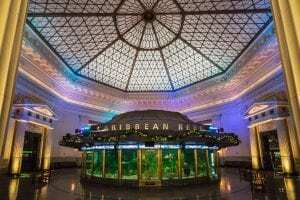 And over in Chicago, IL, let’s visit the John G. Shedd Aquarium, a facility that was built in 1930. The building owners recently leveraged its existing building management system, sensors, and meters to push data points to a building analytics solution. The solution automatically pinpointed root cause of problems and identified energy cost-avoidance opportunities daily, while prioritizing recommendations and suggested actions. It also assigns dollar value to energy opportunities and tracks and validates energy project metrics. For its 480,817 sq. ft. buildings, the facility saved $8,363 energy cost avoidance in first two months the solution was in place. From a hotel perspective, Hilton Worldwide in Washington, DC, provides an example of in the hospitality industry. Hilton wanted to enhance the guest experience while improving resource efficiency. Leveraging data synthesized by a resource advisor solution, Hilton lowered its energy costs and improved its guest experience across its global portfolio of owned, managed, and leased properties. Automated bill management minimizes late fees and utility pricing discrepancies, while innovative building management solutions reduces energy expenditures. Its guest room management systems improved guest satisfaction. The company has realized 14.5% in energy savings since 2009. Here’s an example from the higher education segment. The University of North Texas in Denton, TX gained a 31% reduction in energy costs, equal to $14 million in savings, over the course of two energy savings performance contracts. As one of Texas’ largest universities, the 105-year-old university has 54 buildings in its 12 colleges and schools. To achieve its goal of a “climate neutral” campus, the school underwent a series of renovations and energy upgrades, which included retrofits to the learning environment and direct digital controls for improved comfort. The school also put in variable frequency drives for better air flows, improved lighting systems, and other equipment and systems upgrades. And finally, let’s take a look at another office building complex. 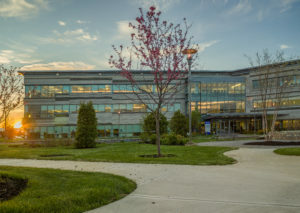 Boston Scientific in Marlborough, MA has achieved an annual cost savings of approximately $30,000 – $40,000 with an integrated building analytics solution for its five-building campus. During the first year of operation, a total electric savings of 160,184 kWh was realized, and an additional 137,200 kWh in the second year, which is the equivalent of carbon sequestered by 5,257 tree seedlings grown for 10 years or removing 43.2 cars from the road. The company also secured a $33,264 performance incentive from its energy company as a reward for enhanced energy efficiency throughout the campus. In addition, this project has also resulted in a 40% reduction in avoidable cost related to faults, including a 51% reduction in energy-related faults as well as a 49%reduction in faults causing improper zone conditions. The engineering team continues to gain valuable insights from the system and anticipates realizing additional cost savings through future energy reduction measures. Each of these facilities, whether new or old, is serving the needs of their tenants with buildings that save costs and improve efficiency. These are the kinds of results that any building owner can achieve with the right strategy and the right tools. To learn more about how to modernize aging buildings, read the other blogs in this series on how tenants are driving modernization, the common challenges of older buildings, and the effective strategies for modernization. Or, to learn more about the strategies discussed here, read this white paper: New Life for Aging Facilities: Four Strategies for Future-Proofing Older Buildings. Four Strategies for Modernizing Aging Buildings The Challenges of Older Buildings The Need for Updating Three K-12 Schools Escaped the Deferred Maintenance Trap. Here’s How.